PGA Professional Steve Stull o f Meadow Springs CC (Kennewick, WA) won the Senior PGA Professional Championship today at Tetherow GC by two strokes over PGA Professional Joe Carranza of Aldarra Golf Club (Falls City, WA). 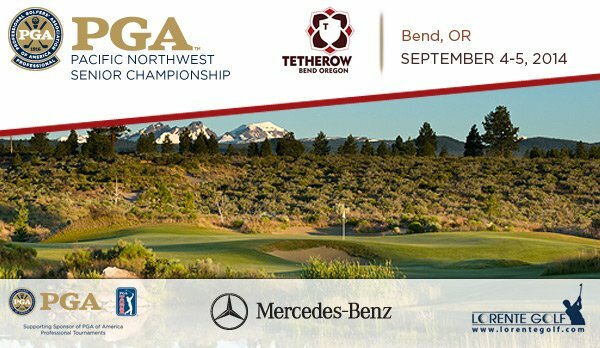 In addition to Steve Stull and Joe Carranza, Chris Van der Velde of Tetherow GC (Bend, OR), Rob Gibbons of Arrowhead GC (Molalla, OR), Mark Gardner of The Creek at Qualchan (Spokane, WA), Brent Murray of Oswego Lake CC (Lake Oswego, OR) Jeff Fought of Black Butte Ranch (Sisters, OR) and Zdravko Barbic of Gearhart Golf Links (Gearhart, OR) all qualified for the 2014 Senior PGA Professional National Championship on November 13-16, 2014 at PGA Golf Club, Wanamaker Course in Port St. Lucie, FL. Steve Stull also captured the Hugh Starkweather award which goes to the low player for both rounds that is 60 years and older. Winning the Senior Gross Division is PGA Professional Don Otto of Sah-hah-lee GC (Clackamas, OR). He won by nine strokes over Jim Wilkinson of Lost Tracks GC (Bend, OR). 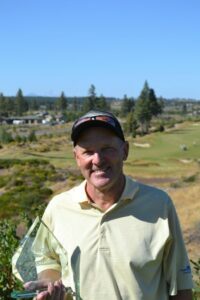 Professional Jerry Mowlds of Pumpkin Ridge/Columbia Edgwater CC (Portland, OR) won the Senior Net Division by two strokes over Joe Clarizio of Arrowhead GC (Molalla, OR). Tetherow was designed by renowned architect David McLay Kidd. Kidd was raised at Gleneagles in central Scotland playing early golf over the famous James Braid designed Kings Course, and is now one of the leading golf course architects in the world. Among his credits is Bandon Dunes on the Oregon Coast, a course consistently named by Golf Magazine, Golf Digest and Golfweek as one of the world’s best. The design incorporates elements of the seaside links David grew up with in his native Scotland: fescue grasses, deep uneven bunkers, rippling fairways and run-up areas to the greens.